The Pack Hatchet was designed slim and packable with backpacks and belts in mind. 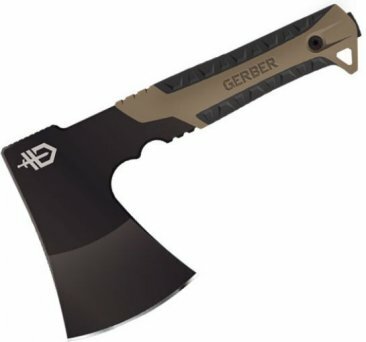 With its tall grind, the Pack Hatchet has what it takes to accomplish the demands of a waterfowler or a car camper. Ergonomic choke-up features for enabling high control work while the rubber overmold handle provides confidence in hand while swinging the tool. Full tang stainless steel construction delivers certain durability in a plethora of environments.